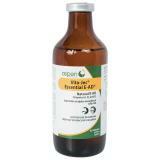 Provides a supplemental source of vitamin A, D and E particularly for continual confinement animals. Injectable A + D-Tocopherol is a clear, sterile non-aqueous solution of Vitamin A, D3, and E.
Natural vitamin A (carotenes) and tocopherols can be destroyed in feedstuffs through processing, ensiling and storage. Due to these losses, reduced intakes of fat-soluble vitamins can occur in animals maintained in continual confinement compared to animals allowed to graze lush pasture. Intramuscular or subcutaneous injections offer an efficient and rapid method to increase Vitamin A, D and E status of animals. 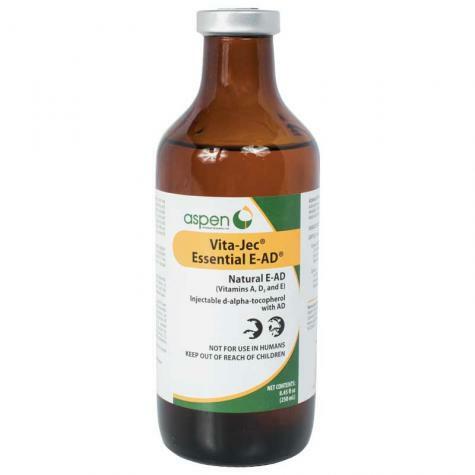 Use as an efficient and rapid method to increase Vitamin A, D and E status of animals. Each mL contains: 300 IU Vitamin E (as d-alpha-tocopherol, a natural source of Vitamin E); 100,000 IU Vitamin A Propionate; 10,000 IU Vitamin D compounded with 2% benzyl alcohol (preservative) in a water emulsifiable base. 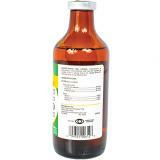 Administration and Dosage: Intramuscular or subcutaneous administration only. May be repeated as needed. If dose is greater than 5 ml, equally divide the dosage and inject at two different sites. Store between 15˚-30˚C (59˚-86˚F) in a dark place. Anaphylactoid or allergic reactions, which have resulted in deaths, have been reported in individual animals as well as entire herds. Should such reactions or hypersensitivity occur, treat immediately with injection of epinephrine and/or antihistamine. Do not exceed recommended dosage. Administration of this product to well-nourished animals may cause hypervitaminosis D, which may result in hypercalcemia and hyperphosphatemia. 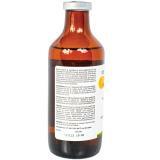 Read all warnings and cautions on label. Do not add water to solution. Not for human use. Keep out of reach of children. For livestock use only. I received this quickly and very happy with it.